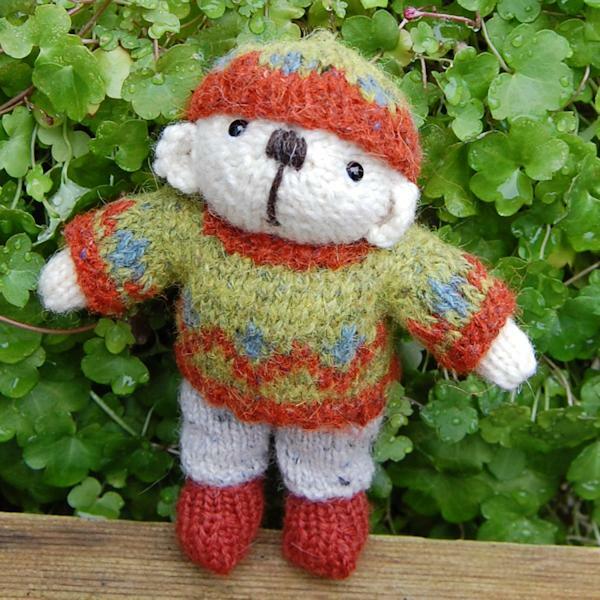 The inspiration for my little knitted Pocket Bears came from the WW 1 Mascot bears made in 1915 and given as “love tokens” for soldiers to tuck in a pocket. 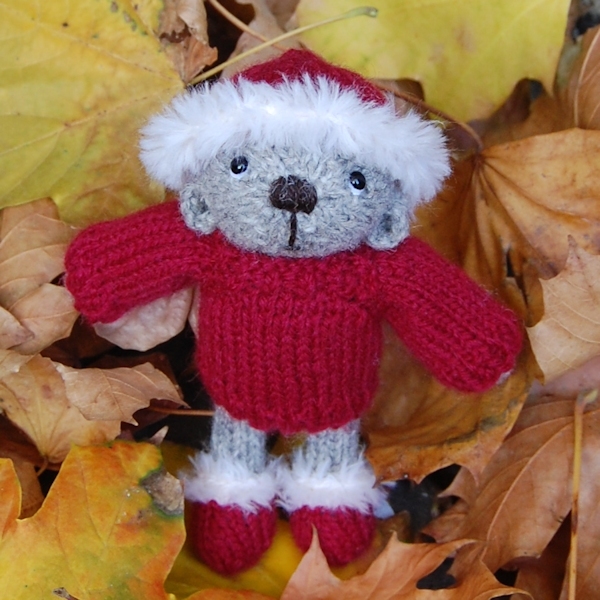 In the most horrific conditions, the pocket bears offered a small degree of comfort for those on the front line, many of whom, sadly, did not return to their families. 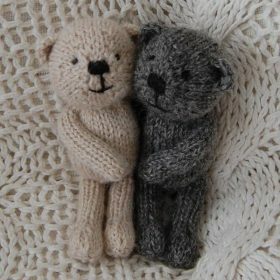 These bears were not knitted however, but sewn from mohair fabric and today are much sought after, fetching a high price. 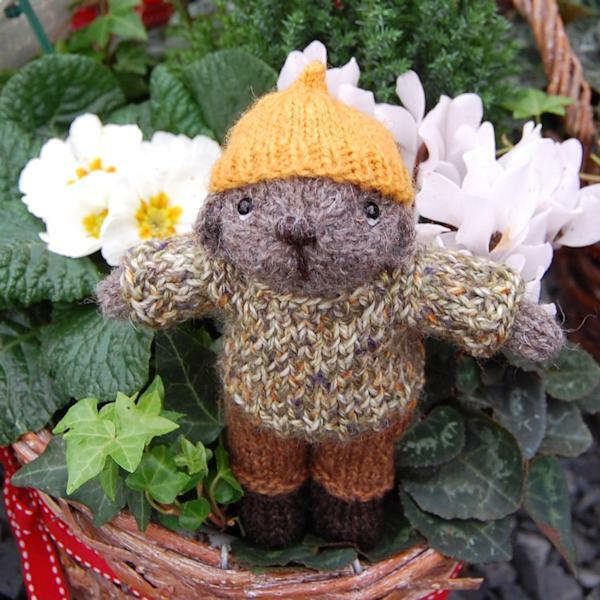 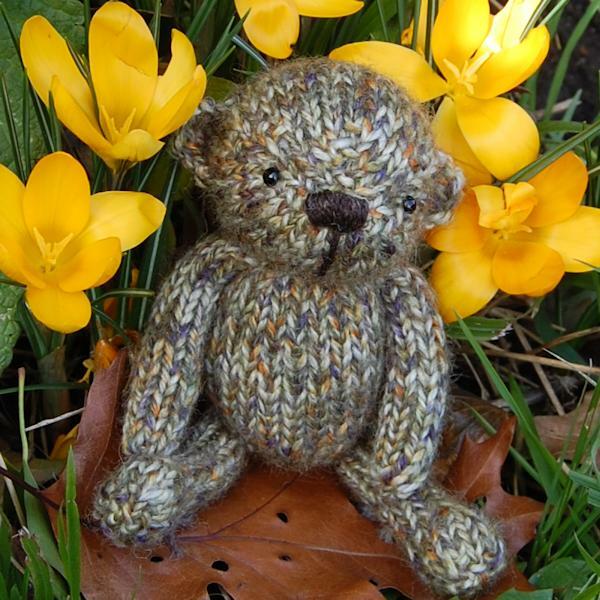 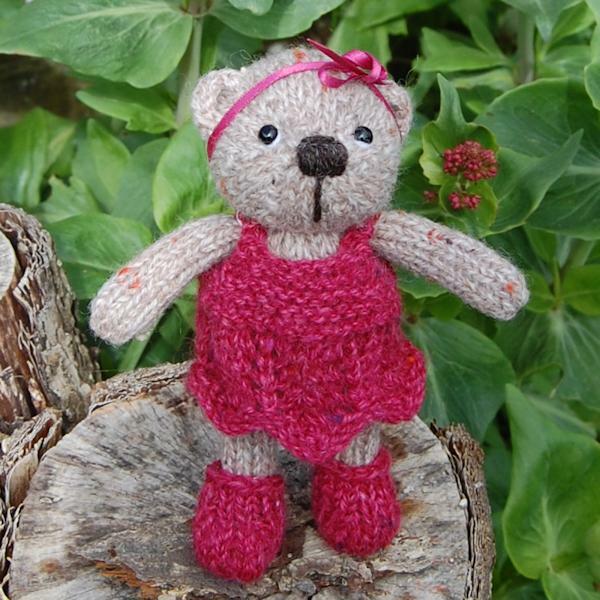 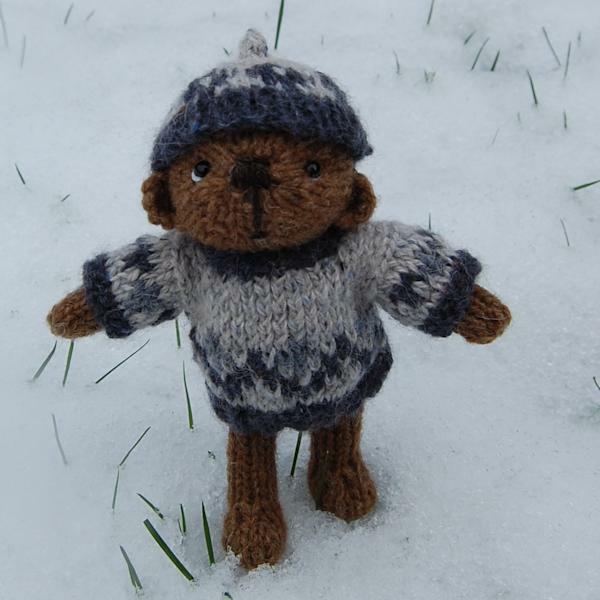 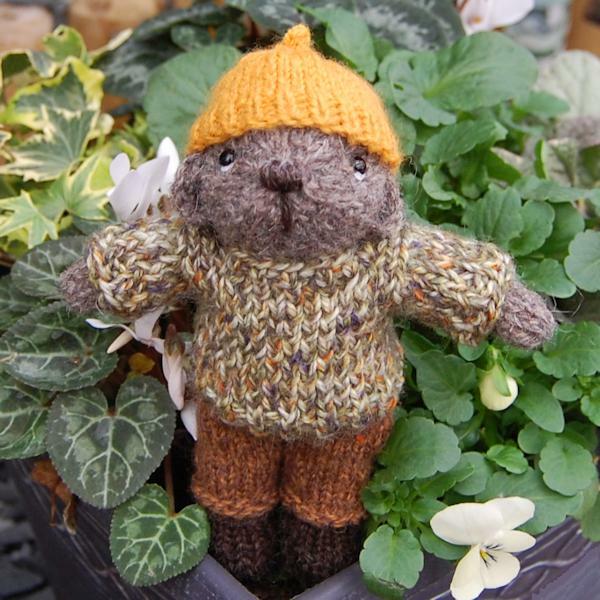 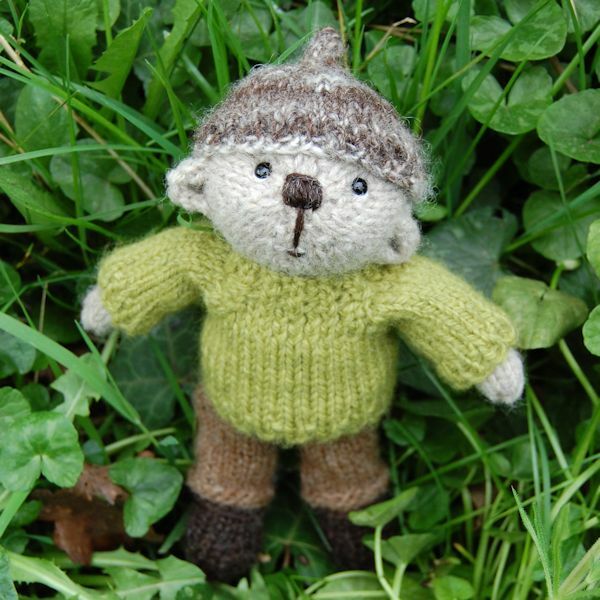 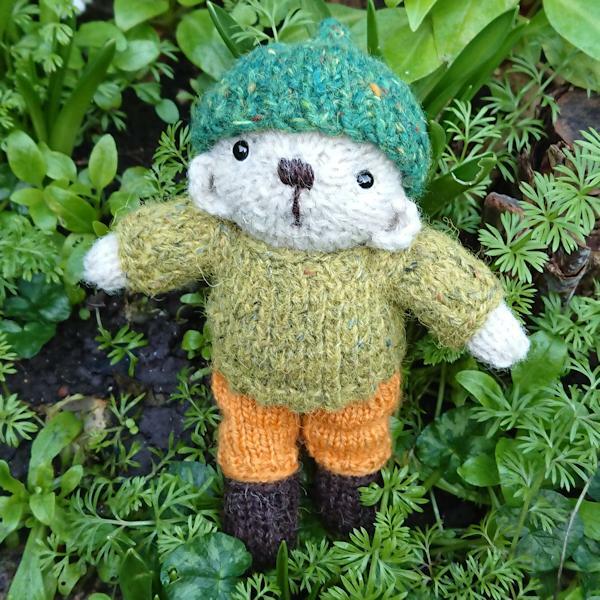 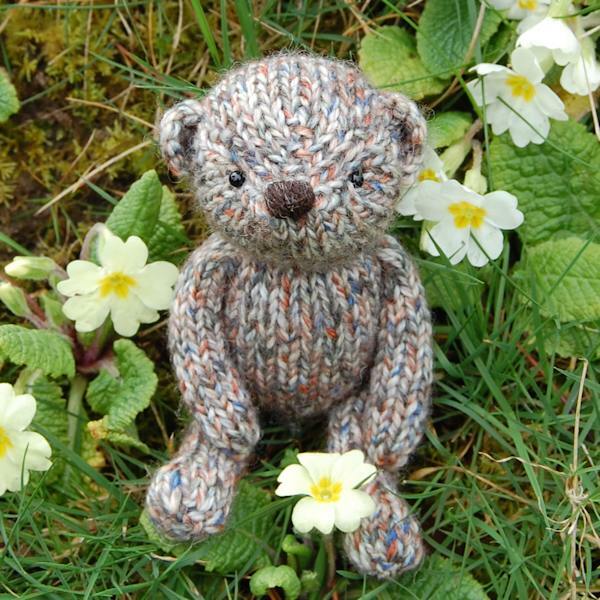 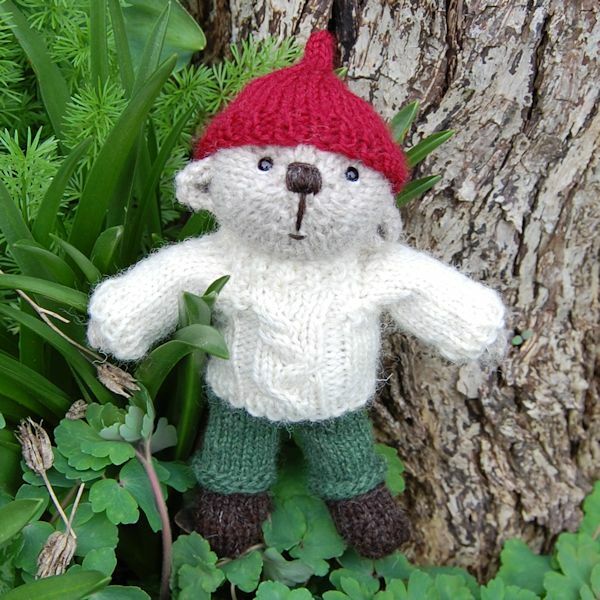 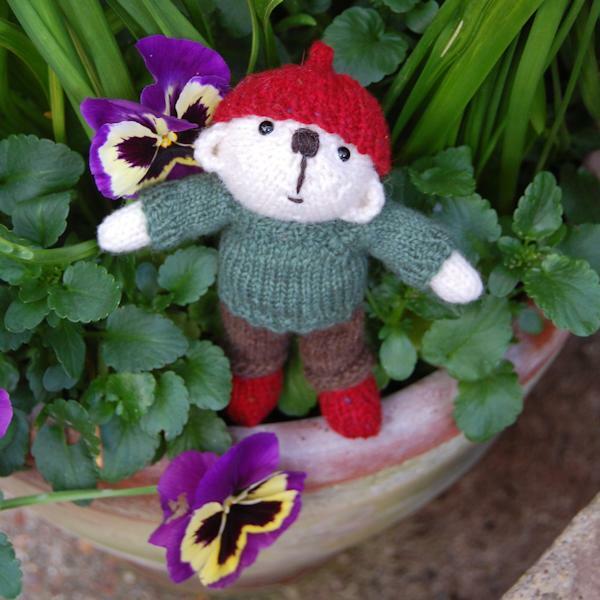 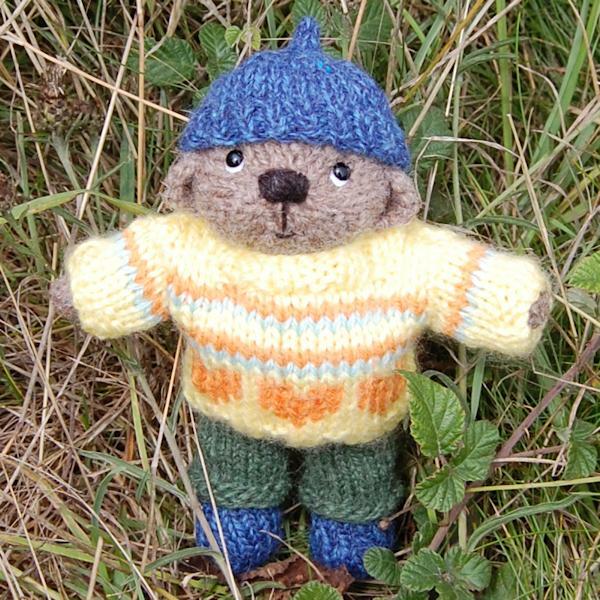 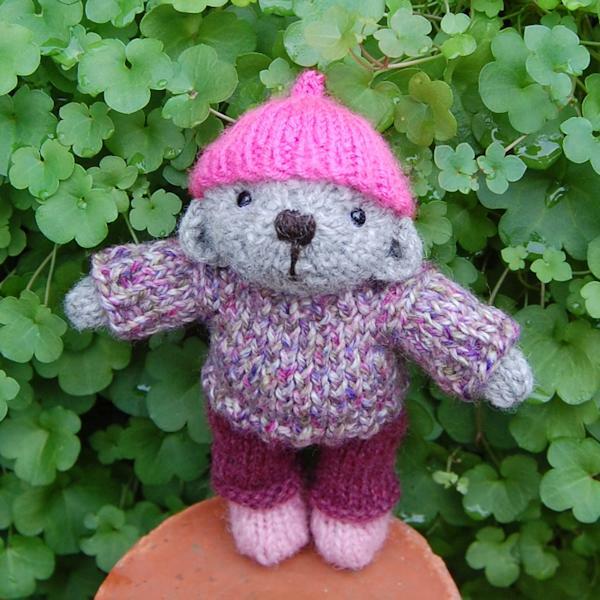 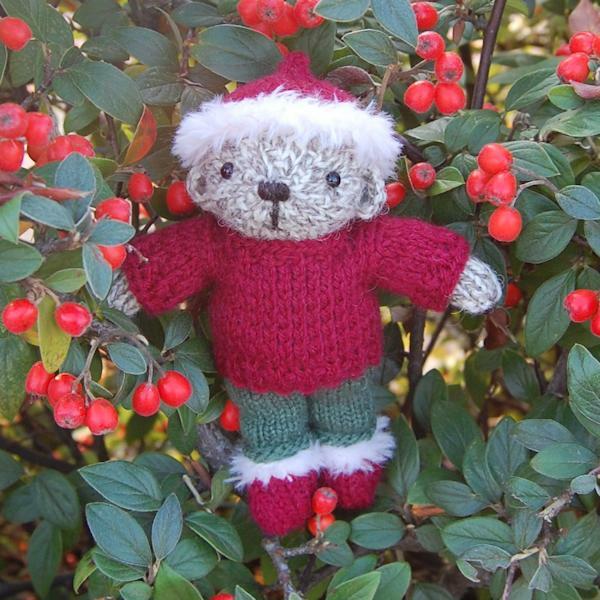 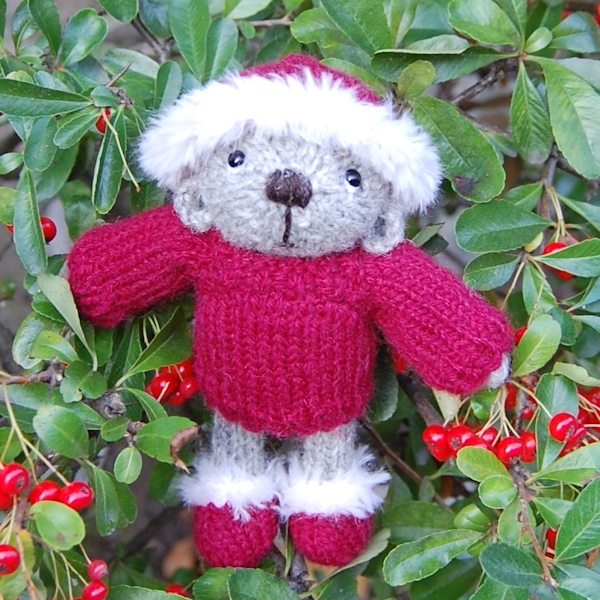 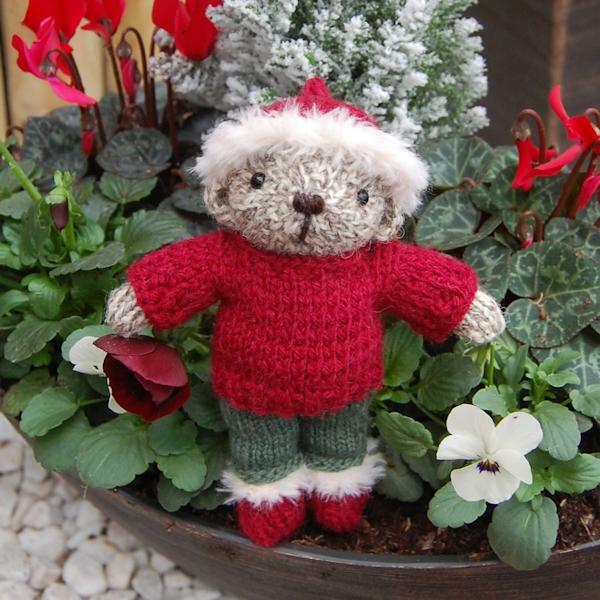 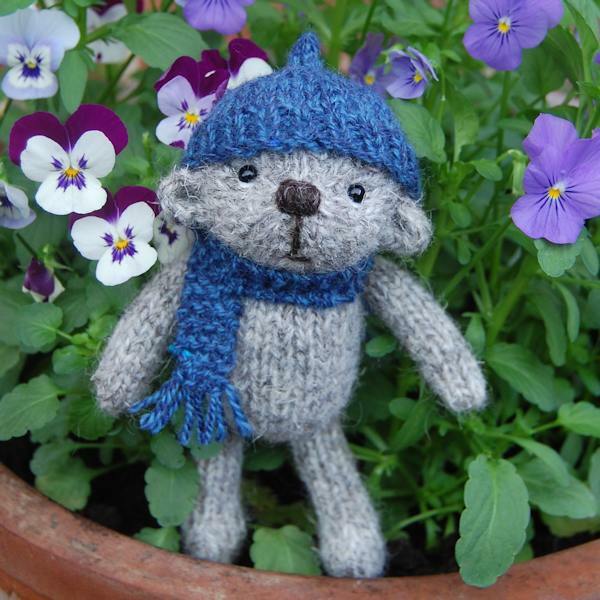 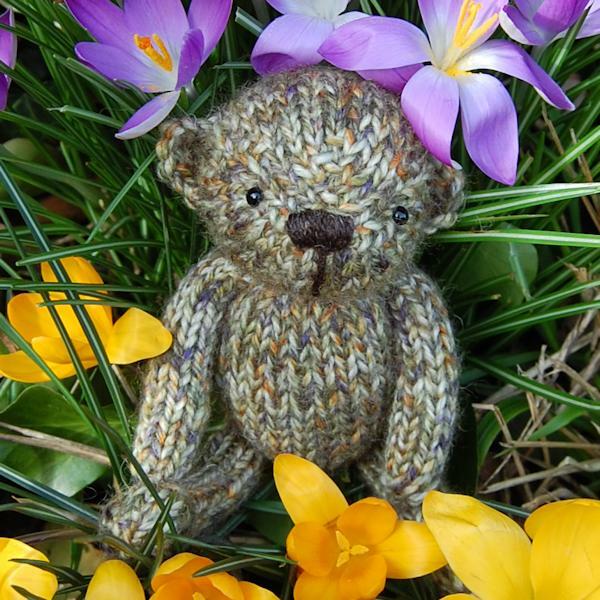 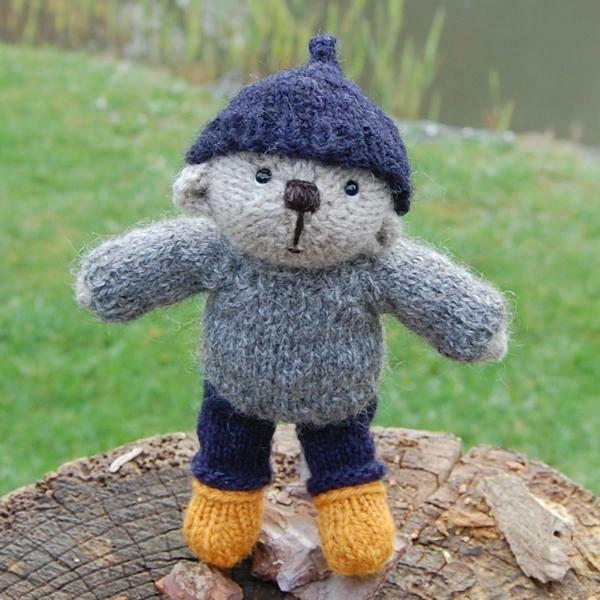 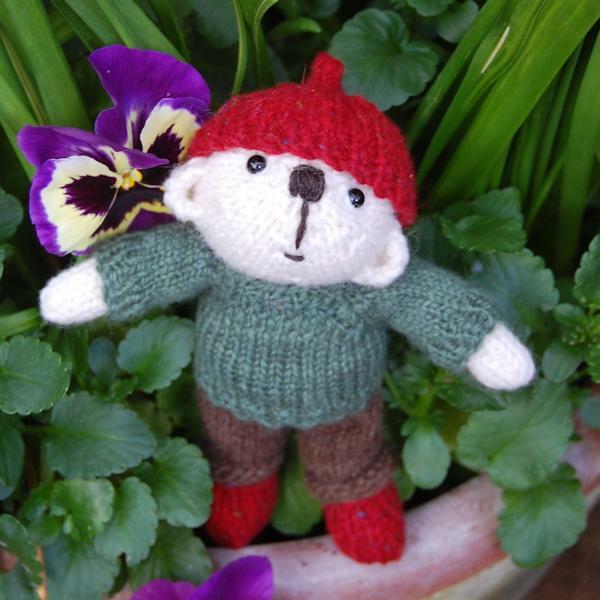 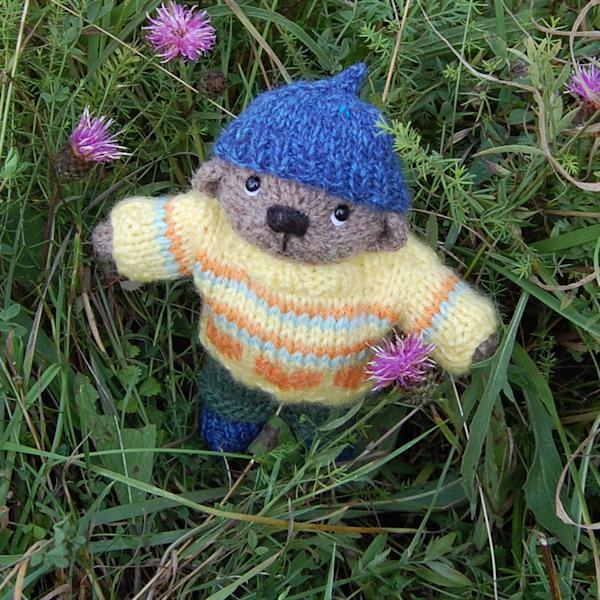 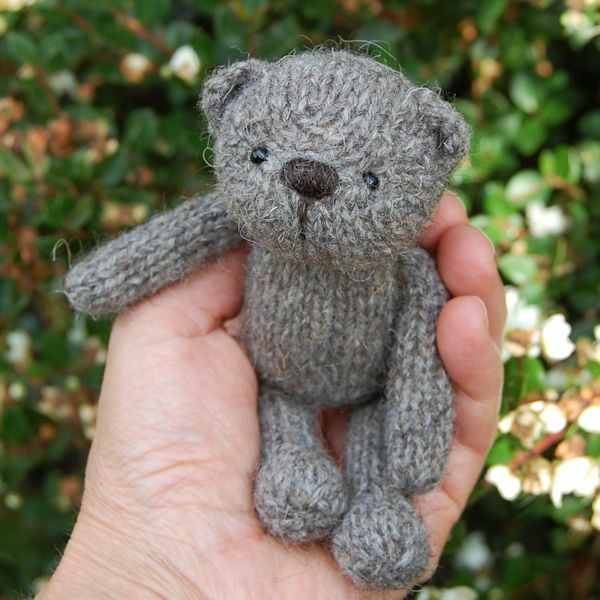 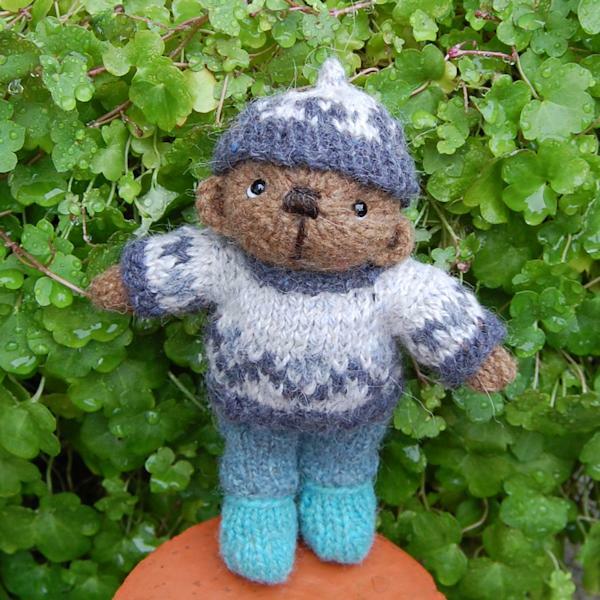 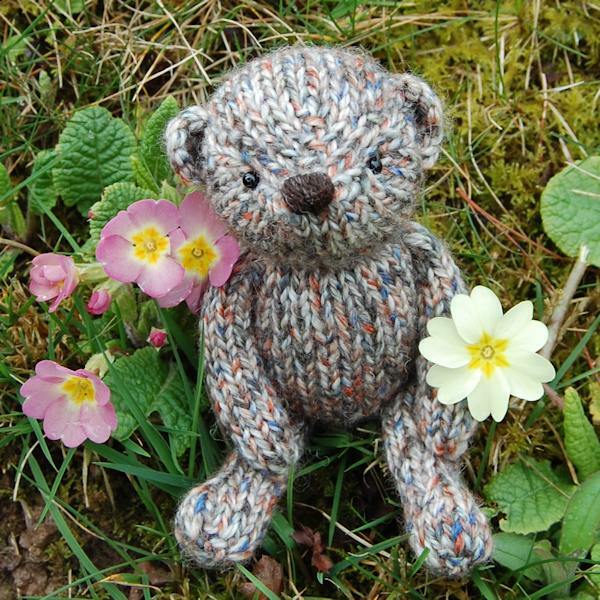 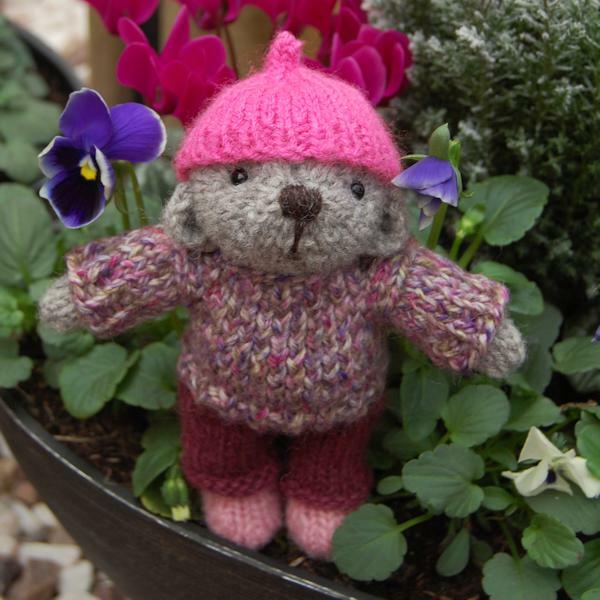 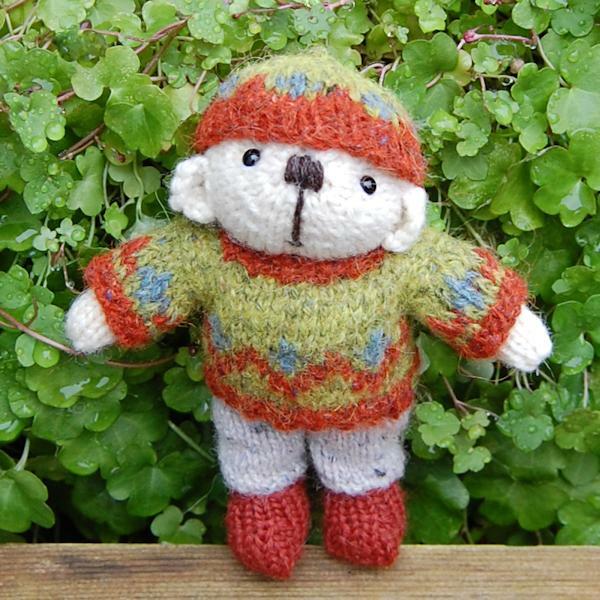 My little pocket bears are all hand knitted from rare breed wool and I have given many of them cute outfits (each garment is knitted separately and is removable) making them unique – each little bear is one-of-a-kind.